Plain flush steel door with welded edges. 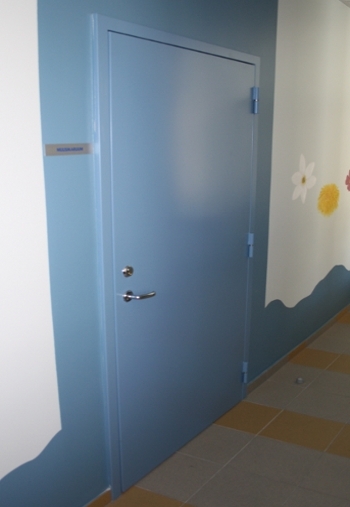 Insulation: rockwool, hinges according to the doors weight, powder coating. Fits for flats.